What do you think of when you think of the beaches of Normandy (which you might be thinking a lot about on Saturday, June 6)? Bravery? Sacrifice? Freedom? Of course. In the 71 years since the allied invasion of Normandy, these beaches have become symbols of all these things and more. But what about ambience? Light? Color palette? Probably less so. While the sacrifice of brave soldiers will always remain deeply engrained in the heart of Normandy, this landscape is also symbolic of another important group that thrived less than 50 years before: the Impressionists. Long before the cliffs and beaches of Normandy were chosen for their strategic military location, they were singled out by Impressionist artists of the late 19th-century for their aesthetic value. Artists such as Claude Monet and Pierre Bonnard chose to paint the area of Normandy for its singular beauty and unique artistic attributes. Monet spent 40 years of his life painting scenes of the Normandy coast from Honfleur to Dieppe and it was a piece in this series that Duncan Phillips chose for his collection. 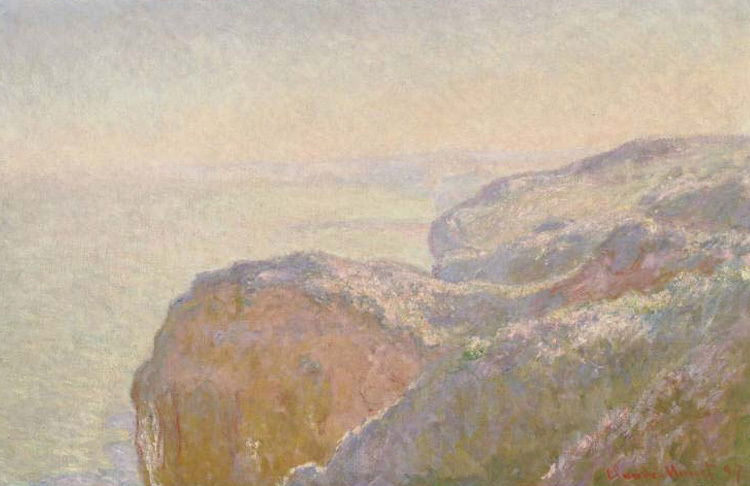 Phillips believed Val-Saint-Nicolas near Dieppe (morning) to be one of the most beautiful works by Monet he had seen, as well as an excellent representation of the artist’s technique. Monet often chose scenes that would illicit an emotional response from his viewer. As you can see, the light in the painting reflects off the carefully chosen color palette to reflect the morning ambience as the sun rises over the cliffs of the Val-Saint-Nicolas, less than 200 km from the Allied landings 47 years later. Personally, I find the dual significance of this location to be fascinating. How could an area once so renowned for its beauty and tranquility become a symbol of ultimate sacrifice? Of course the real answer is tactics—the Allies weren’t concerned with its aesthetic past when evaluating its military value—but it still makes you wonder. So next time you look at a famous place or monument, consider it from another perspective. The beaches of Normandy prove that even the most somber place, can also be the most beautiful.